IWASSA Co.: Access to any program similar to Windows programs on Linux easily. Access to any program similar to Windows programs on Linux easily. Of the most important problems which it is located novice with any Linux system is the ability to run programs that Aahdha in Windows on the Linux distribution of choice! . 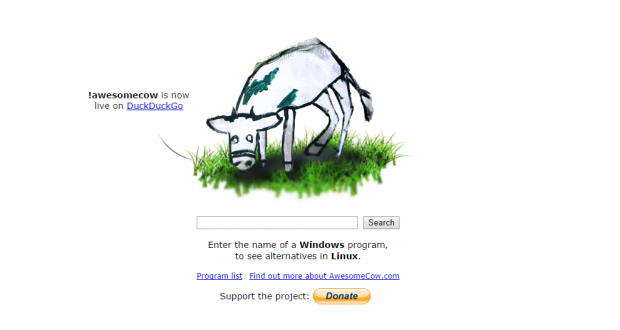 This confusion, which is no longer on the table now and that there are several sites offering you similar programs used by the programs in Windows, and among the most successful of these sites Awesomecow site is a search engine that offers you propose similar programs on Linux for any Windows program. Enough to visit the website link beneath this post then write the name of the program, which operates in Windows was then the site will show a set of suggestions about programs that work with Linux. So you will not find another excuse for the Linux experience!